Inspired by the kitchens of Rome, at Osteria Nino we seek to capture the best of Italian tradition and pair it with the bounty of New England. The service was great and the food was excellent!! I will definitely be back! Andrew was great, service prompt and we all enjoyed our meals . Osteria Nino is wonderful. The food is sooooo good! The food tasted fresh and authentic. Food and service was fast and friendly. Our only complaint is that there was no ice in the "ice water". I'm sure this was due to the warmer weather, however it should've been noticed, being such a simple thing. An 80 degree day in the patio and warm iceless water is not the best combo. Very friendly and accommodating! I asked pasta instead of potatos and they said "no problem". The bruschetta could stand to bed crisper but otherwise fantastic! Excellent sevice and very tasty meal: baby kale salad and 2 build your own seafood linguine pasta meals (1 with fra diovola sauce & shrimp and 1 with saffron wine sauce & scallops). The pasta was al dente to our liking and both sauces subtly flavorful. Yum! Osteria Nino has delicious food at an affordable price. Great service. Food was good and comfortable place to dine in. Great atmosphere and nice tables outside. The special and entries are pretty good. Price is reasonable. Will consider going back again! Nino's is fantastic! My favorite Italian spot. Delicious food and great service! Will go back. Chicken scallopini (a generous portion, crispy and golden) and roasted red potatoes served with a piccata like butter sauce and still crisp broccolini was excellent, as was the chicken parmesan. Good cocktail, wine and beer list and dessert menu with a nice variety of options. Water and warm bread were brought without asking and the the service staff was friendly and attentive. Pouring rain or we would have asked to be seated at one of the nice outdoor tables. My wife and I had visiting the second time, food are excellent, portions are bit small, but our service is very poor. Osterio Nino serves fresh, modern food that is well prepared, beautifully presented and delicious. We tried their pizza with broccoli rabe and sausage which was flavorful and delicious. The risotto was cooked perfectly with an amazing flavor profile of asparagus and butternut squash. Service was excellent and we sat in the bar area which was relaxed and comfortable. Best restaurant on second ave.
Food was excellent. Service, not so great. Really enjoyed the warm atmosphere and food on a rainy New England afternoon. We'll back! Good modern Italian food at a reasonable price. Truffle fries were much better at dinner than they were when I ordered takeout for lunch. I love the specials for each day of the week. It was a nice location. The surrounding area looks very upscale and there is seating outside to enjoy the sunny weather. The prices are fairly reasonable and the service was good. The drinks are on the pricey side but they don't skimp on the alcohol. Food was great. Service was a little slow. Great food, great service. We will be back ! We thoroughly enjoyed our meals and will definitely return! Yes we loved it and have been back there again this week. we feel that they should add more luncheon specials. One of our favorites...consistent and delicious! 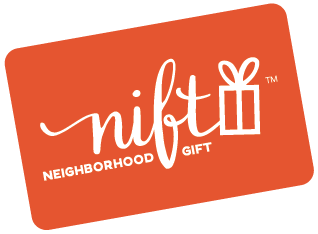 The way NIFT totals the payment was a little confusing, but a good experience overall. Very good food and nice people! Will definitely go back again! It was great experience for lunch.! I took group of friends to lunch and everyone was satisfying the express lunch! We all loved it. I'll try again for sure! Delicious food, good drinks. We really enjoyed the atmosphere. Service was very attentive. Excellent service and great options on the menu! Service and food was great! I would recommend Nino to friends and family. Great food and wine. Vibrant atmosphere. Nice service. Had lunch. Food and service were very good. Will be back. The service was great. The food was reasonably priced. first time visit and it was very good! Osteria Nino was wonderful! They cooked a great steak and the mashed potatoes were great too. The truffle fries are to die for! very good food and service. very nice! Loved the butternut squash ravioli and especially the spinach ravioli ! would definitely go again. Ostetia is friendly place and the food was delicious. Cant wait to try the calamari. I had scallops with lobster cream over linguini - excellent. My husband had eggplant parm and they graciously substituted veggies for the pasta. House wines - red & Pinot Grigio were excellent as well. Kitchen a bit slow but dishes came out piping hot and we weren't in a hurry. Only disappointment was the Ceasar salad - eh. Overall a good experience. Nice decor. The food is excellent. The gluten free options were incredible! Fast and friendly service. Not expensive. Beautiful place. Great food. Best restaurant ever. Both of our meals were excellent! We loved it! We ordered the seared tuna salad, and grilled salmon entree. We will definitely go back again and try the pasta. The beef soup was tasty. The black tea was refined with a rock candy stick as a stirrer and heavy cream. The eggplant parmigiana was just ok. Kind of bland. If I go again, I'll try a different entree. The mussels were delicious and we found a great wine. This is such a great concept, it introduces people to new local places and allows businesses to support each other! The instructions for use are a bit confusing. It said my server needed to enter their store id but there was no field on the APP. Its also confusing what order thing need to happen. Food and service was fabulous !!!! Thanks to Nift, we went to Osteria Nino and have returned several times since.